The Samuel E. Kelly Ethnic Cultural Center and Theatre facilities offer a variety of spaces for hourly rental. To reserve a space at the Kelly Ethnic Cultural Center or Theatre, please familiarize yourself with our Reservations Policies and Reservations Process below before you fill in and submit the Reservation Request Form. Please note that the completion of the Reservation Request Form does not guarantee you a space. The information you provide will be used to determine whether we are able to accommodate your request. A minimum of two-weeks advance notice is required for all reservations for the Kelly Ethnic Cultural Center. A minimum of three-weeks advance notice is required for all reservations for the Kelly Ethnic Cultural Theatre. Reservations for the Center and Theatre can be made a maximum of six months in advance. For dates greater than six months in advance, please email the Reservations Office at eccres@uw.edu or call 206.221.3241 or submit a request, instructions shown in the section of Reservation Process, for the space to be placed as a “hold”. Holds are not confirmations and held dates may be unavailable. Students or Registered Student Organizations wishing to request a space with less than 2-weeks advance notice must wait until the day of the event and drop-in to the ECC Reservations Office to request a space as a short-notice “Write-In” request. Walk-in Requests are subject to availability and special policies. Food service, events which are open to the public and fundraising are prohibited for walk-in requests. Short notice requests for the Theatre are not accepted. Events can not be booked outside of regular Center operating hours due to staffing. Events are not approved and should not be advertised until the group receives a final confirmation from the Reservations office. All paperwork, payment and other requirements must be fulfilled before an event is finalized and confirmed. Tentative approval or holds are NOT final confirmations. Being on the schedule is not a confirmation. For Theatre Reservations, a minimum of 1 hour between events is required. 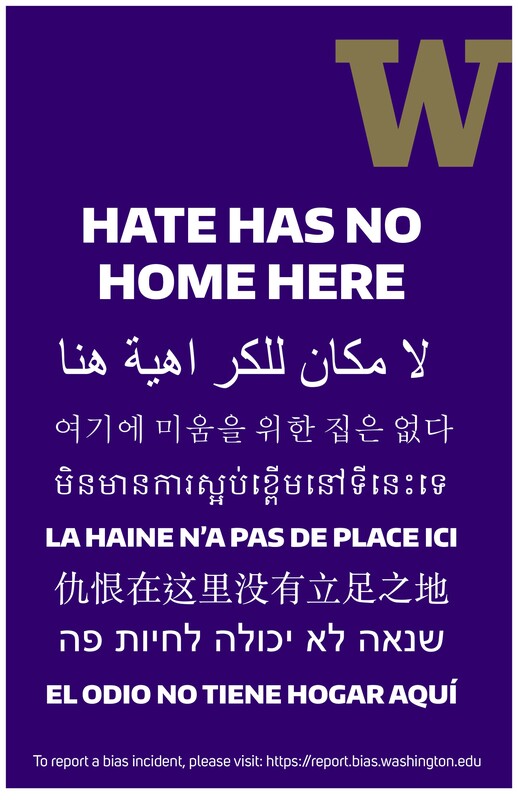 Use of the Ethnic Cultural Center must comply with all University of Washington and Washington Administrative Code (WAC 478-136-030) regulations. Use of the kitchens for events is subject to approval, and use of the kitchens for food preparation for any event besides personal use or RSO meetings is generally prohibited due to the nature and classification of the kitchens, per the University of Washington Environmental Health and Safety division. Those making a reservation for an event assumes responsibility for their group and guests, and they shall assume any financial responsibility for excess cleaning and/or repairs resulting from damages should they occur in the facilities during the reserved time. The Kelly ECC is no longer able to offer facility fee-waivers to cover the rental cost of the Kelly ECC or Theatre. Please see our new rental rates. Submit a Reservation Request Form with the details of your event. Please do not resubmit your request if you need to make a change to your request. 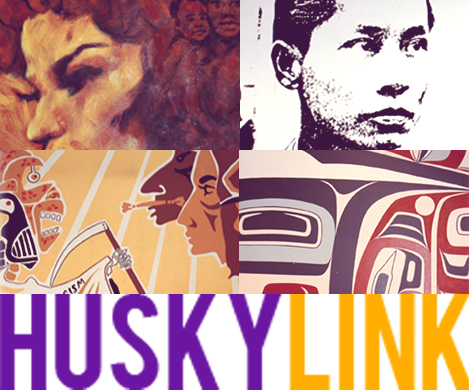 Instead, please contact the Reservations Office at eccres@uw.edu or call 206.221.3241. The Kelly ECC Reservations Office will respond to your request via email within 7-10 business days. If you do not receive a response after 5 business days, please contact the Reservations Office to check on your request. If you do not receive a response, your request has not been processed or approved. Please check your email for messages from the Kelly ECC Reservations Office. When your request is processed, you will receive either a tentative email approval for your event or an email requesting clarification or notifying you that the dates and/or times you requested were not available. Please follow-up with the Reservations Office via email. Once your request is tentatively approved, submit all required forms, payment or other details by the provided due-dates. When the Kelly ECC Reservations Office has received all required items, you will receive a final confirmation for your event. Please do not advertise your event until you have received a final confirmation. If all required items are not submitted, your event may be cancelled. To see a current calendar view and possible openings for spaces, please visit our Reservations Calendar. Please read further about our funding source at the Services & Activities Fee Committee website. * A request is necessary not only to provide you the best suitable space, but also for correct documentation and statistical reporting to our funding source. The enclosed Event Booking Details Form contains important information about your reservation bookings. Please review this form to ensure that your needs are accurately reflected. Please contact our office if you need to make any changes or corrections. Review your scheduled event time carefully: if you require additional setup or tear down time, this time must be included in your reservation. The final invoice amount may differ from the enclosed cost estimate due to changes involving your rental time, damages or other additional costs. When possible, the ECC will try to accommodate changes to your reservation and bookings. No fees are assessed when changes are made to your set up details. Any changes made to extend the duration of your event will be subject to the regular rental fees and adjusted on an “availability-only” basis. Additional rehearsal or setup time will be charged at the regular rental rate and cannot be added to a booking less than 3 weeks in advance. In order to serve you best, please check in with the ECC front desk on the day of your event. Our friendly staff will open your conference room for you and ensure that your conference room is set up according to your needs. If you and your guests arrive early, our comfortable lounge provides a space to relax. If you wish to gain access to your event space prior to the stated entrance time on your Event Booking Form, the ECC will attempt to accommodate early arrival when possible. Early entrance to the Theatre is limited and is dependent upon the arrival of your scheduled theatre technician(s). Please note that charges will be assessed for early entrance to Conference Rooms or the Theatre. If you plan to serve catered food or beverages for an event, an Online Application for Temporary Food Service (ATFS) must be approved by the Environmental, Health & Safety Department two weeks prior to the event. In order to simplify this process for you, we request that you return this form to the ECC a minimum of two weeks prior to your event so that we may submit it to the appropriate department on your behalf.The ATFS form is not needed with: UW Catering (Bay Laurel), prepackaged food items, and take-out/delivery food consumed within ½ hour of preparation. Please notify the ECC if you will be serving these foods. Potlucks and any home-prepared foods are prohibited. All kitchen use must be pre-approved by the ECC. Please check your Event Booking Details Form to ensure that a kitchen has been added to your reservation. For more information or to add a kitchen, contact our office at least two weeks prior to your event. Food Handlers Permits: All individuals handling and serving foods for RSO meetings must have a Food Handler’s (Worker) Permit. A copy of this permit must be on file at the ECC at least two weeks before the requested date. For more information about this permit, see the Environmental Health Services section of the kingcounty.gov website.The ability to serve self-prepared food are very limited. More details may be obtained from the Kelly ECC Reservations team. Serving Utensils & Miscellaneous Items: The ECC is unable to provide serving or food preparation utensils or catering. If an organization wishes to serve alcoholic beverages, please review the necessary policies under the Office of the Provost Special Programs guidelines. Depending on your event, please adhere to the approval process related to your event. The UW form and more details may be found here: https://depts.washington.edu/sprogram/alcohol-service/alcohol-service-form/The ECC is a student-oriented facility and students are present during all hours of operation. Adequate measures— including an approved security/ID checker, bracelets, etc—must be taken in order to ensure that no minors will have access to alcoholic beverages. These options must be discussed and approved with the ECC reservations office prior to the event. Any violation of Washington State law or ECC policy will result in an immediate closure of your event and appropriate authorities will be notified. All commercial sales or fundraising activities must be approved by the ECC. All Registered Student Organizations (RSO) must complete a Fundraising Permit in order to fundraise at the ECC. This permit can be acquired at the Student Activities Office. The use of masking/painters tape is allowed on the walls (with the exception of the murals), ceilings, and door frames. No tape, adhesive, glue, or tacks are allowed on ECC murals or curtains. Use of duct and gaffers tape, glue, tacks, or other adhesive is not allowed unless authorized consent is given. Items attached in this manner without consent will be removed and the group will be charged a $10.00 fee. If the murals, furniture, walls or any other fixtures are damaged due to decorations, the group will be liable for damages. These damages will be assessed by UW Facility Services. RSOs are responsible for the set-up and clean-up of meeting room spaces. Cultural Meeting rooms will be set up in a default furniture setting when you arrive. The room should be returned to this setting before you leave. If you wish to change the configuration of the room, you will be responsible for doing so. If you need additional chairs or tables or assistance with setting up these items, please inquire at the front desk. As a courtesy to those that are in the space after you, please wipe down the tables before you leave with the paper towel and Simple Green spray bottles provided.RSO reservations in premium spaces and all other groups will be assessed set-up & clean-up fees as needed. Under some circumstances, coordinators must undergo a Safety Walkabout prior to the event date. This walkabout demonstrates evacuation and fire extinguisher procedures in case of an emergency and is required for use of ECC kitchens and certain performance events. To check if a Safety Walkabout is required for your event, please check your Event Booking Details Form. The Ethnic Cultural Center enjoys hosting a variety of cultural celebrations and ceremonies. Many of these events may involve the burning of candles, incense, and herbs. A special permit may be required for some of these items, please contact the ECC for more information. Approval of flame and smoke related events are subject to approval by the ECC. If approved, additional fees will apply. The use of fog, smoke or “hazer” machines is strictly prohibited in conference spaces. Any offending party will be charged a flat fee of $75.00 and for any damages caused by the use of this equipment. If your event requires special accommodation, please notify the ECC Reservations Office and contact the Disability Services Office at 206.543.6450 or dso@u.washington.edu at least ten days prior to the event. The University of Washington and the Ethnic Cultural Center will not be liable for failure to perform an obligation here under when performance of such obligation is rendered impossible due to damage or destruction of the facility, order or regulations of public authorities, labor dispute, civil tumult, epidemic, natural disaster/hazard, or any cause which both was beyond the control of and is not remediable by the party seeking to exercise this provision. The user agrees to indemnify and hold harmless the University of Washington, its Regents, Officers, Agents and Employees, from and against any and all claims, demands, losses, liabilities, costs or expenses of any nature whatsoever arising from or as a result of use or occupancy of the ECC facilities by the User and User’s Agents or Employees, provided that such claims, demands, losses, liabilities, costs, or expenses are due or are claimed to be due to the negligent acts or omissions of User and Users Agents or Employees.The University of Washington agrees to indemnify and hold harmless User, User’s Offices, Agents, and Employees, from and against any and all claims, demands, losses, liabilities, costs, or expenses against the User, for property damages or personal injuries due or claimed to be due to the negligent acts or omissions of the University of Washington, its Regents, Officers, Agents, or Employees. When you electronically fill out the Event Rental Agreement online, you agree to the terms stated above. For questions or concerns, please contact the Kelly ECC Reservations Office at eccres@uw.edu or by phone at 206.221.3241.